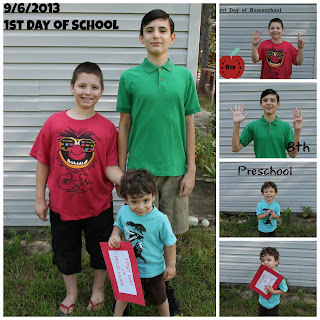 A RUP LIFE: First Day of Homeschool 2013-2014! 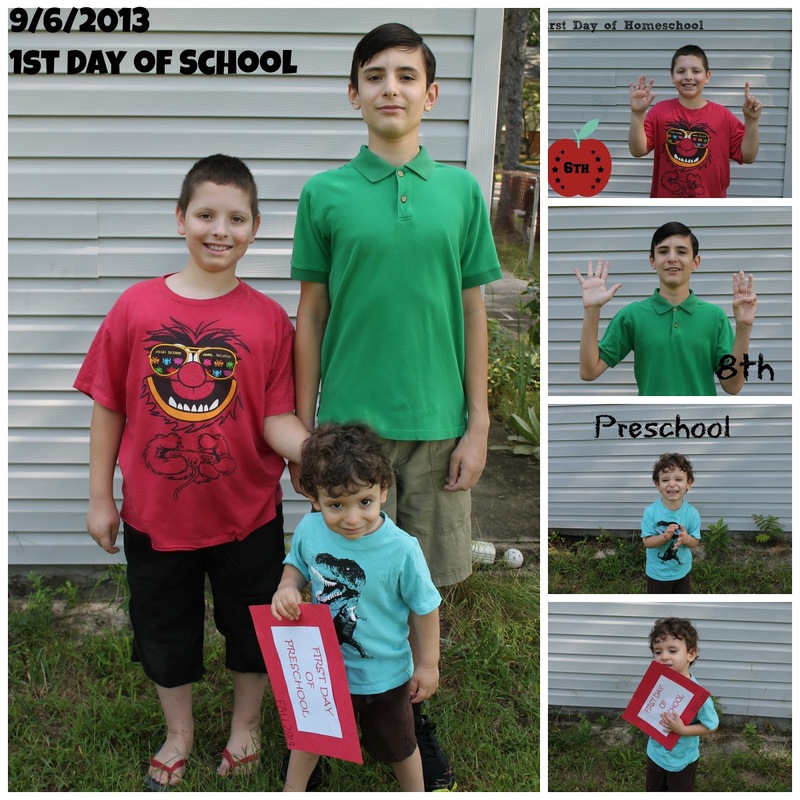 First Day of Homeschool 2013-2014! We've officially started back last week! I'm looking forward to another awesome year. Some of the curriculum I've chosen will be challenging but I think that the boys will enjoy that too! We are adding Jace's preschool to the mix and that should prove to be interesting but he is ready! I'm going to put up a curriculum choices for preschool and the big kids this coming week. So faithful readers have you started school? Homeschool?